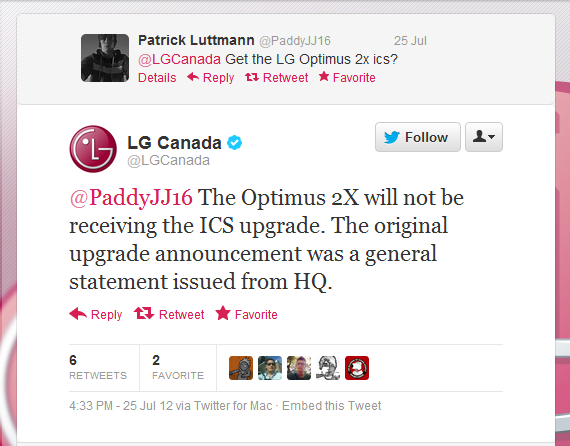 Of course, it's a little hard to understand how "the LG Optimus 2X will receive an upgrade to ICS" could be interpreted as a "general statement". We've reached out to LG for comment and will update as soon as we hear more. Hopefully it is simply a mistake on the part of LG's Twitter account. Unfortunately, in the Android world, it's become imprudent to bet on the update.